How does a new gene appear? What is the mechanism behind it? For a decade, scientists had a hypothesis that – functions of new genes evolve after cells accidentally made a copy of one of their existing genes. If we go by this theory – that extra copy of gene could then evolve in its own way – acquiring a new function, while the original function was retained in the original gene. For the first time, a working mechanism of the theory have been witnessed by researchers at TU Delft in yeast cells. The Researchers TU Delft investigated the yeast species Saccharomyces pastorianus, which is used for the production of lager beer by brewers around the world. one of the most important characteristics of Saccharomyces pastorianus is that it can ‘eat’ the sugar maltotriose. One of these yeast species’ ancestors was identified in In the year 2011 that it turned out had not yet developed the ability to consume this intricate type of sugar. This evolutionary shift makes the brewing of lager beer possible today. Genes are responsible for everything that cells can perform. And to gain new functions, new genes are required. But how can these new genes arise? The theory to describe the incidence of new genes relies on a mechanism called gene duplication. In this process, a mobile unintentionally makes a copy of a given gene. The DNA of the cell contains two copies of this gene. While one of the copies can retain the purpose, another can change after a different path. It may develop a completely new function if mutations occur in a gene copy. If this function that is new is beneficial to the organism, natural selection will likely make certain that the mutated gene continues to exist. This evolutionary mechanism has been discussed in scientific literature. On analyzing different gene functions of related genes, scientists were able to come up with the theory of how gene functions could have evolved. 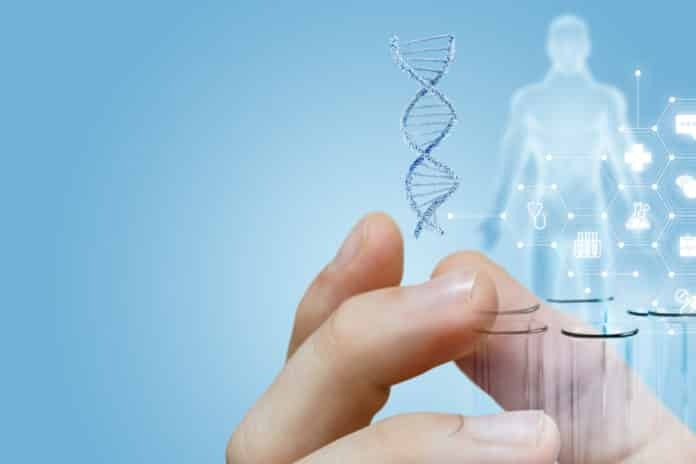 Researcher & Arthur Gorter de Vries stated that- By reasoning backward from closely related genes, they were reasonably sure that the mechanism of gene duplication and mutation can give rise to new genes. However, no direct evidence had been found for it. The researchers used yeast cells of the species discovered in 2011 for the purposes of the experiment, which were unable to metabolize the large sugar molecule maltotriose. They irradiated millions of those yeast cells with UV light, causing DNA damage. This meant that the cells had to repair substance that would be. The researchers fed the microorganisms with wort that brewers use to create beer. They gave the yeast cells only limited amounts of work forcing them to compete with the little food available. All the simple sugars were quickly eaten by the yeast cells. All that was left was maltotriose, so it became advantageous for yeast cells to develop an ability to eat this sugar molecule that is complex and large. And that was what happened. Researcher Nick Brouwers stated that- they suddenly noticed a fall in the amount of maltotriose. Among all, One yeast cell could consume maltotriose. The descendants of that one cell suddenly had a huge quantity of food available, so they quickly outcompeted all of the yeast cells. cells were isolated then by the researchers to find out what changed in their genome. Gorter de Vries stated that- They have found that only a small number of changes have occurred. In this process, though a new gene had evolved. It contained large sections of DNA from three other genes Similar to the other transporter genes, a protein is made by the gene this protein embeds itself in the cell membrane forming a tube through which sugar molecules are transported into the cell. The DNA sequence analysis revealed that the gene that was new had been generated by mutations in one of those duplicated transporter genes. This result is an experimental validation of the theory postulating that new genes can evolve if the cell accidentally makes a replica of an existing gene. Gorter de Vries stated that- for them, the real surprise was how quickly the hybrid gene came into being. The newly evolved yeast cells have been analyzed and may, indeed, be used to brew lager. A beer that is brewed with this yeast combines the flavors of yeast with the fresh taste of lager. Nick Brouwers concluded that- Their new yeast did evolve in the lab, but no modification was involved. The final paper with the findings is published in PLoS Genetics.